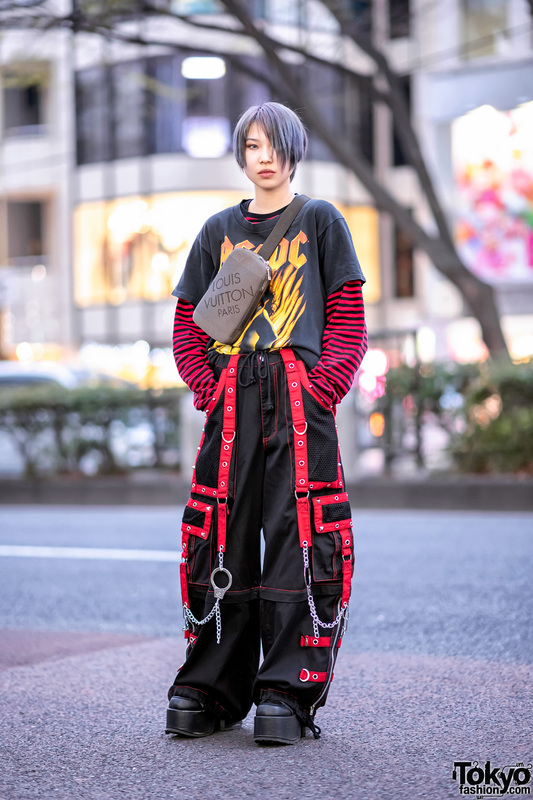 While walking along the streets of the Harajuku one fine afternoon we met Kurosaka, whose all blue streetwear style caught our eye. 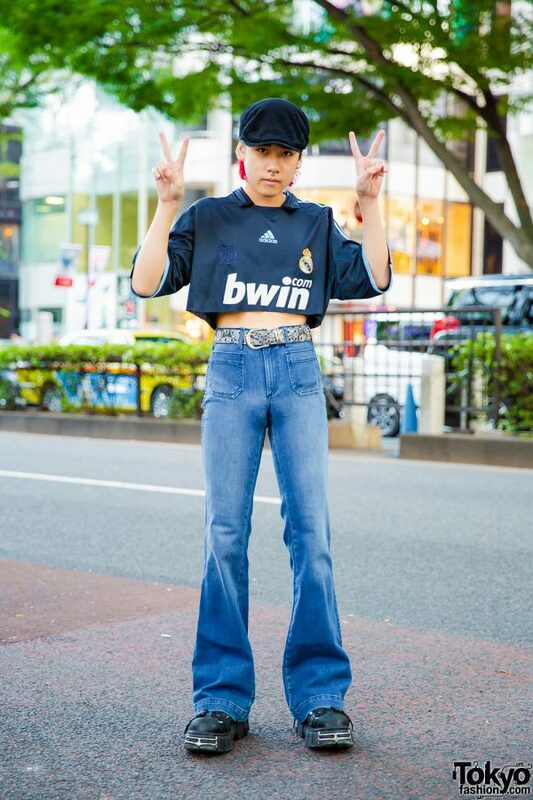 Clad in a resale outfit, Kurosaka is dressed in a cropped Real Madrid Adidas Bwin sports jersey, which he styled with flared denim pants and cinched with a leopard skin grommet belt. 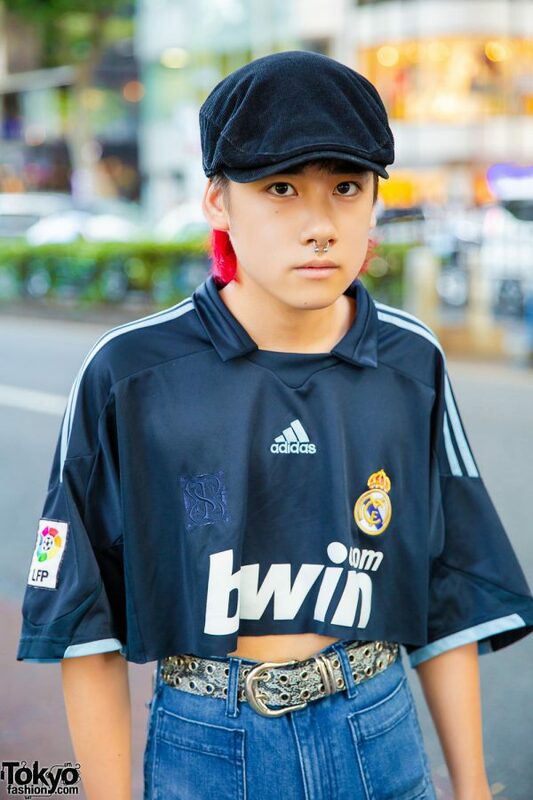 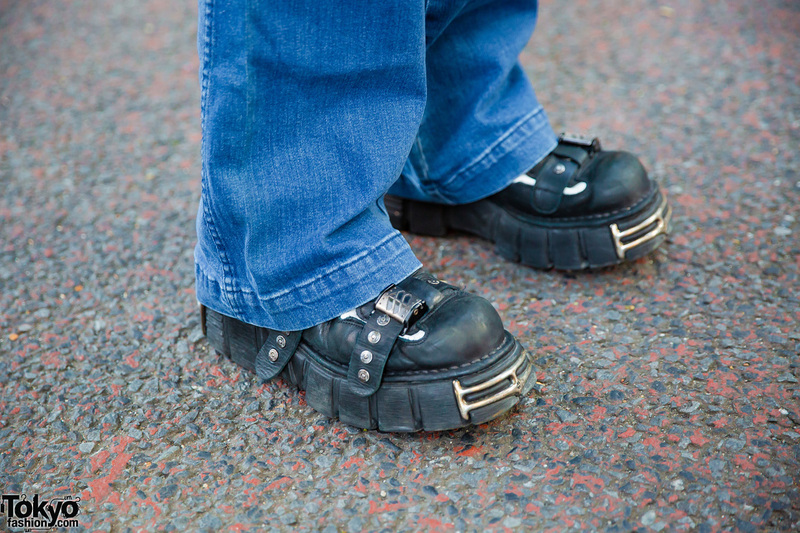 Black New Rock platform buckle shoes, a black newsboy corduroy cap over his red hair, and a silver nose ring rounded out Kurosaka’s casual style.